A) Sugar highs create sugar lows. A heightened mood from sugary foods can give way to a depressed mood when the effect of the sugar wears off. This can lead to a cycle of dependence on sweets for mood elevation. B) Sugar sensitive children may very well experience a decreased ability to pay attention and learn while at the same time exhibiting a negative behavior pattern. C) Sugar promotes obesity with high insulin levels causing the storage of excess sugar as fat. Autumn and Halloween are a wonderful time of year. We all enjoy a little sweet treat during this period, but let’s not let it get excessive. 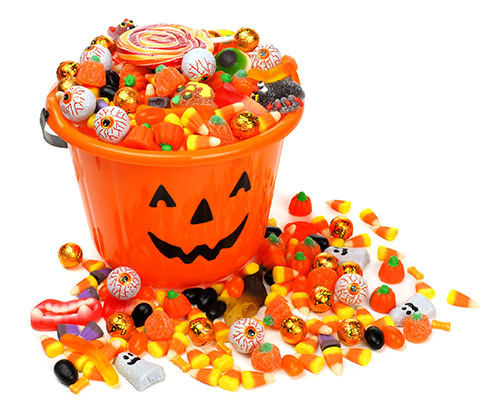 The kids can give their teeth and their bodies a healthy boost by donating their excess trick-or-treat candy to the troops overseas while collecting $1 per pound of donated candy. Monday-Friday, November 2nd-6th , between 8AM and 4PM. The candy must be unopened! No bites, please!